Excellent Family Bi-Level, Victoria Park! 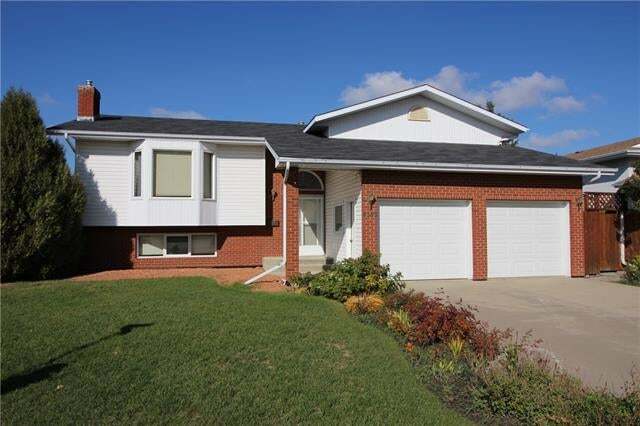 Youll love this spacious 1,360sq.ft bi-level home with Awesome Oversized Private Yard! Its nicely tucked away in a quiet area of Victoria Park, Close to the Golf Course, Parks and Playground! Featuring a Very Well Maintained home with an Impressive Open Floor Plan and Lots of Bright windows. Spacious and bright living room with cozy gas fireplace, and extra bright bay/windows in dining room. Lovely kitchen with ample cabinetry with breakfast bar and BI pantry with rollouts. Huge Master bedroom with double closets and Ensuite. Superb MF laundry with sink and lots of custom cabinetry. Plus Easy access to private deck that overlooks the backyard. Basement is very nicely developed with large family room with cozy gas fireplace, huge games/craft/bedroom room, bedroom, bathroom and utility room. Awesome private yard, fenced, deck, garden shed, garden area and alley access! Attached 21.5x26 HEATED garage and more! Be Sure to View This Home! Floor Area 1,360 Sq. Ft. Lot Size 0.20 Sq. Ft.